As developers, almost every app we write has configuration. Often, that configuration should really be accessible to our less technical colleagues: feature flags, rate limits, deployment signoffs, and so forth. 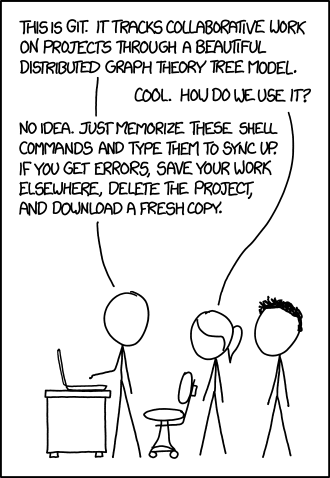 As programmers, we know exactly the right tool for this: Text files in version control. They’re diffable, trackable and comprehensible, and if anything goes badly wrong we can dive in with a text editor. It’s tempting to give up and say, “I’ll do it for you”. Developers end up as gatekeepers, with every change coming through us. This isn’t great either. Years ago, I used to develop SMS-based services for a mobile carrier in south-east Asia. This was the bad old days, before Twilio and friends, and the carrier had to sign off on every minor UI change – often at the very last minute. I spent many late nights waiting for a meeting on the other side of the world to finish, just so I could change one line in a config file. We can fix this. With the GitHub API, we can build an app in minutes that empowers our colleagues to change configuration on their own – with all the power of Git’s versioning and auditing. Here’s a simple app, hosted on Heroku (source at github.com/anvil-ph-test/edit-demo). It has a configuration file (called config.json) that determines vital parameters such as the font and background colour. Now we have read-only access to our configuration, the next step is to save our changes. As we interact with the text-boxes and check-box, self.item is automatically updated. And here’s the working app. Why not try changing some settings? Once you’ve saved your changes, scroll up and refresh the example app. Be patient - it may take a few seconds to re-deploy with the new config. OK, we’re not quite done. So far, we’re doing everything on the client side, which means everyone with the URL can access our authentication information! Even if we only give that URL out to people we (mostly) trust, it’s far too easy for it to end up in the wrong hands. There you have it - a secure, functional configuration editor, ready for our non-technical colleagues to use. You don’t need to know Git to use it, but it does have full tracing and history of every change. #1: We don’t have to sacrifice the benefits of Git for our configuration, just in order to get a user-friendly admin interface. We can have both! #2: The GitHub API is awesome. #3: Anvil lets you build useful web apps very, very quickly. Why not clone this example app, read its source code, and try it out yourself?